Here you will find that everything is in stitches! 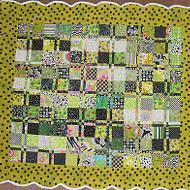 I have been quilting/sewing for the last 20 years. 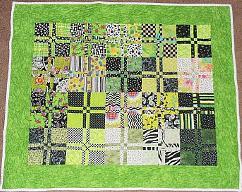 I enjoy taking different pieces of fabric, cutting it up and putting it back together to create a beautiful quilt. 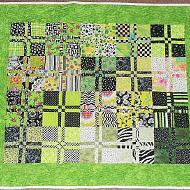 I enjoy making bed quilts, everything from a king, to a crib size, to a wall quilt. 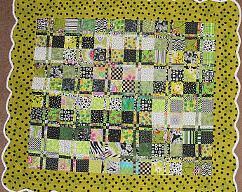 I also love to make whimsical quilts as well. 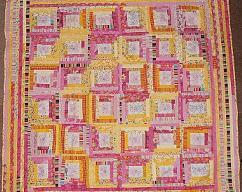 I use traditional quilting patterns as well as making my own patterns. I incorporate appliqué with traditional piecing and also just tradititonal piecing. Depending on the quilt, I may also add embellishments. My quilts are designed to be used. I use 100% cotton quilting fabric, quality threads and high quality batting. My quilts come pre-washed and are from a non-smoking home.